Mutton chops cooked in Indian spices with smokey flavour and aroma. Perfect dish for those lamb lovers! Wash the mutton and place in a pressure cooker. Add ½ cup of water and salt to taste and cook for 6-8 minutes after the first whistle. Alternatively, mutton can be cooked in a regular pan, just add enough water to cover the mutton, bring to a boil, cover and cook on medium heat for about 20-30 minutes till the mutton is soft. 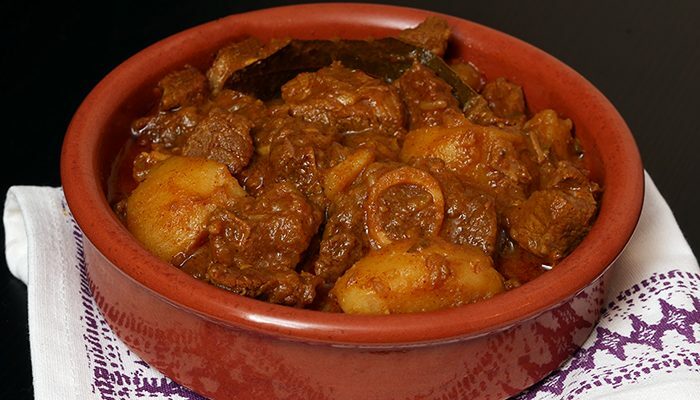 At the end of the cooking, there should be at least ½ cup of liquid remaining in the mutton. Powder all the ingredients listed under the “For the masala powder using a spice grinder till smooth. While the mutton is getting cooked, heat the oil in a large frying pan and sauté the onions till brown. Add the ginger paste and garlic paste and sauté for a few minutes. Mix the chilli powder, pepper powder and turmeric powder with a tablespoon of water to make a paste. Add this paste to the pan and sauté for a few minutes till the whole mixture gets a nice brown colour, making sure the spices are not burned. Remove the cooked mutton pieces with a slotted spoon and add to the pan. Reserve the stock. Mix well to make sure that all the meat is well coated with the onion-spice mixture. Keep sautéing till the mutton pieces are well browned. Now pour the reserved stock into the pan and mix well. When the gravy starts to thicken, add the curry leaves and the spice powder and mix well. Continue cooking till almost all the liquid is gone from the pan and the mutton pieces are well coated with the remaining gravy. Add the lemon juice and mix well and immediately remove from the stove. Serve hot with rice or chapatti….Enjoy! A kebab so good, that it melts in your mouth as soon as you take a bite. 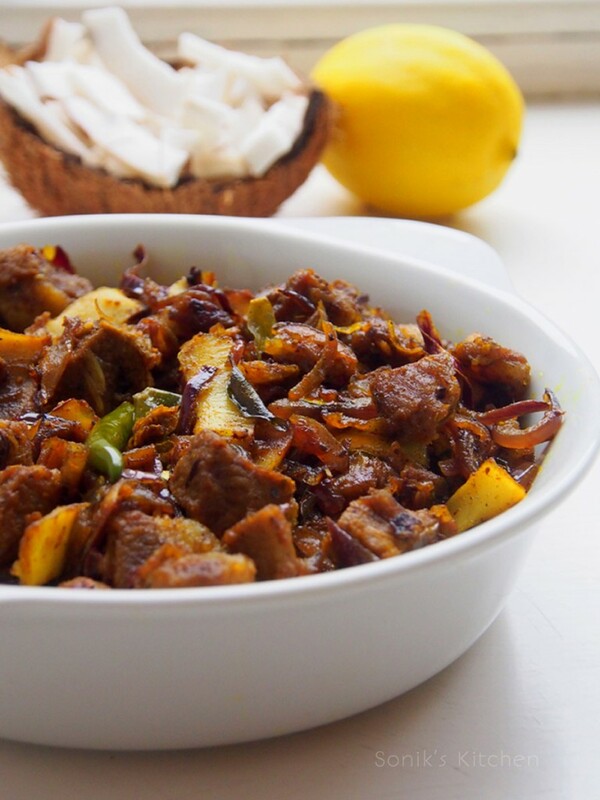 A great appetiser and celebratory dish that can be made with any meat – mutton, beef or chicken. Everybody will love this publish, it’s most successful. A wonderful content. Thank you so much!